Browse Our Products Toys and NessiesClothing and AccessoriesJewelleryOrkney Jewellery - OrtakGifts for the HomeCollectablesClans and NamesFudge, Chocolate and SweetsChristmasStationeryBooks & Cd's... and Everything Else! 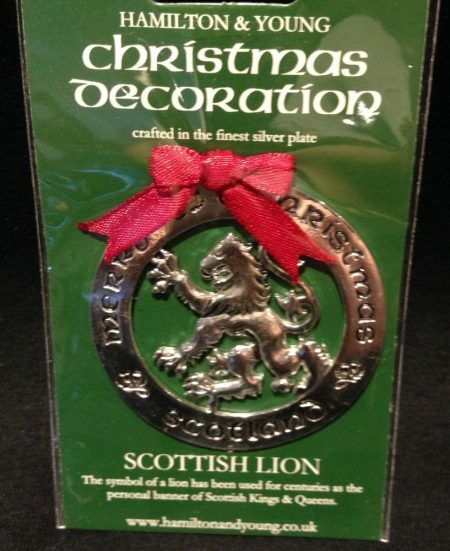 Silver plated Christmas decoration in a Scottish Lion design with a red ribbon loop. 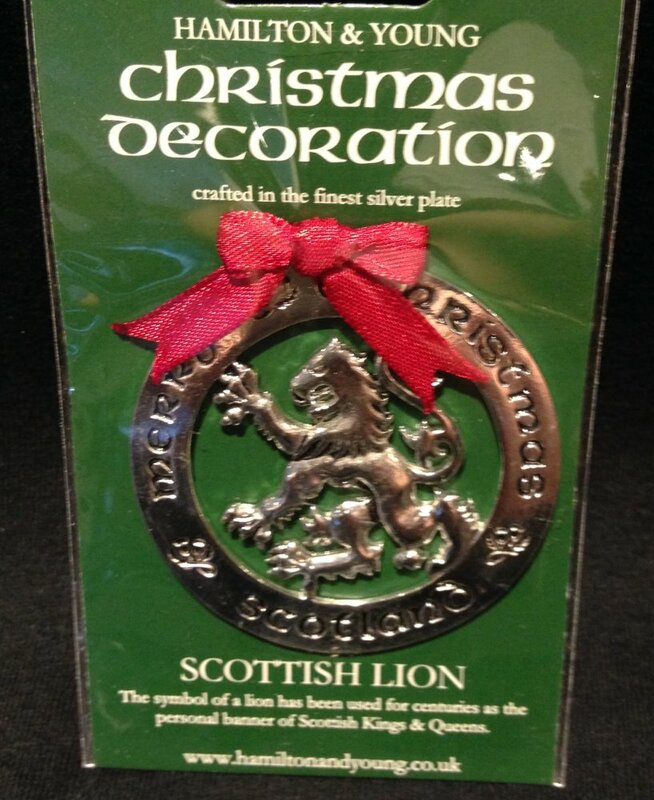 The symbol of a lion has been used for centuries as the personal banner of Scottish Kings and Queens. Delivery is FREE worldwide. A minimum order of £30.00 applies. Copyright © Loch Ness Gifts. All rights reserved.